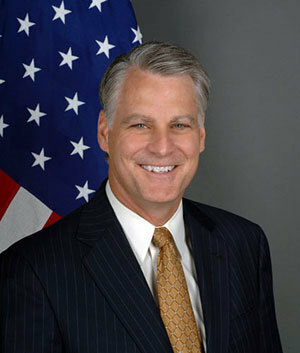 Timothy J. Roemer, former U.S. ambassador to India, will give a lecture titled “Twitter, Buffett, and Darwin: India and the United States Relationship,” at 4 p.m. Nov. 13 (Wednesday) in the Jordan Auditorium of the University of Notre Dame’s Mendoza College of Business. The event is free and open to the public. The lecture, which is co-sponsored by the Liu Institute for Asia and Asian Studies and the Kellogg Institute for International Studies, is part of the Liu Institute’s Distinguished Speaker Series and Notre Dame International’s International Education Week. Roemer, who earned master’s and doctoral degrees in political science from Notre Dame in 1981 and 1985, respectively, was elected to Congress in 1990 to represent Indiana’s 3rd District. He served six terms, and later was a member of the 9/11 Commission. He was president of the Center for National Policy, a Washington, D.C.-based national security think tank, before being appointed ambassador to the Republic of India by President Barack Obama. He served as ambassador from 2009 to 2011. Originally published by Michael O. Garvey at news.nd.edu on November 05, 2013.